The new Snom D735 hits the right notes thanks to its timeless design and the two modern colour variants – this telephone is on the cutting edge, both technically and in terms of appearance. The high-resolution 2.7” colour display is surrounded by eight multicoloured function keys that you can label yourself. 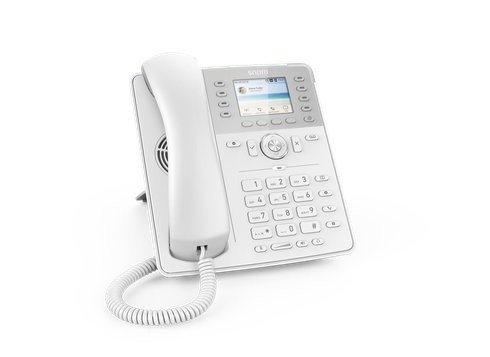 In order to constantly show the user all the important information they could need, the Snom D735 has a built in motion sensor – our first VoIP telephone to have such a feature! As soon as the user’s hand approaches the display or the function keys, the display springs to life and automatically shows all the relevant key assignment information. When you move your hand away again, the display reverts to its normal mode. This smart sensor expands the functionality of the D735 enormously and supports the user in their day to day activities. Of course, the Snom D735 also benefits from the tried and tested HD audio quality that has become standard for our telephones. Thanks to this quality, you would be excused for thinking that the person you’re talking to were sitting right next to you! This is made possible due to the integrated ‘Digital Signal Processors’ (DSP), which optimise sound quality in real time, filter out background noise and do so much more. Three-way conferences are also possible with next to no effort. 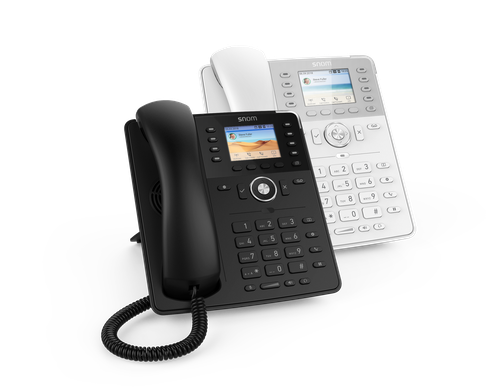 The Snom D735 is a compact all rounder and is perfect for all possible uses thanks to its modern and smart functions, as well as the timeless design and colour variants. 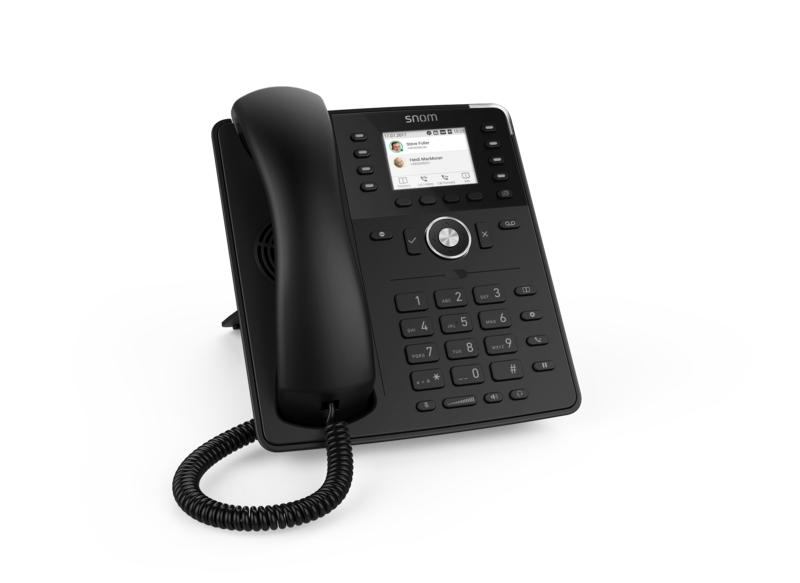 The new, optimised firmware allows each user to forward calls at the touch of a button, initiate conference calls or mute the telephone temporarily.